"Reimage is the process of removing all software on a computer and reinstalling everything. A reimage is necessary if your operating system becomes damaged or corrupted." Nehemiah had heard of the trouble that fell on the Jewish remnant in Jerusalem -- those who had survived the exile. He had heard that the wall that once surrounded the city had broken down, and that the gates had been burned. By some miracle the Persian king allowed Nehemiah to return home and to rebuild the wall. It was, no doubt, a miracle birthed out of repentance for the sins of the people -- the very sins that caused the people to be scattered into exile in the first place. See Nehemiah 1 and 2. With the rebuilding came opposition, but in time the wall was rebuilt. And, when the seventh month came the people assembled in the square before the Water Gate. At that time Ezra began to read from the Book of the Law: "Ezra the teacher of the Law stood on a high wooden platform built for the occasion. Beside him on his right stood Mattithiah, Shema, Anaiah, Uriah, Hilkiah and Maaseiah; and on his left were Pedaiah, Mishael, Malkijah, Hashum, Hashbaddanah, Zechariah and Meshullam. Ezra opened the book. All the people could see him because he was standing above them; and as he opened it, the people all stood up. Ezra praised the Lord, the great God; and all the people lifted their hands and responded, “Amen! Amen!” Then they bowed down and worshiped the Lord with their faces to the ground. The Levites—Jeshua, Bani, Sherebiah, Jamin, Akkub, Shabbethai, Hodiah, Maaseiah, Kelita, Azariah, Jozabad, Hanan and Pelaiah—instructed the people in the Law while the people were standing there. They read from the Book of the Law of God, making it clear and giving the meaning so that the people understood what was being read. Then Nehemiah the governor, Ezra the priest and teacher of the Law, and the Levites who were instructing the people said to them all, “This day is holy to the Lord your God. Do not mourn or weep.” For all the people had been weeping as they listened to the words of the Law." Nehemiah 8:4-9. From daybreak until noon Ezra read from the Book of the Law while the people stood and listened. It must have been so overwhelming for those who had survived the exile to be standing before the rebuilt wall, hearing the Word of the living God as though for the first time. Indeed, the people wept as the Word was read aloud and explained to them. On the twenty-fourth day of the same month, the people assembled again. But this time they were "fasting and wearing sackcloth and having dust on their heads." Nehemiah 9:1. "They confessed their sins and the wickedness of their fathers." Nehemiah 9:2 They spent a quarter of a day reading from the Book of the Law and a quarter of a day confessing and worshiping. Nehemiah 9:4-5. It is interesting, isn't it, how the Word of God convicts us -- how it brings us to a place of repentance and to a place of joy? Notice how the people read the Word, confessed their sins, and then worshiped God! It is my belief that what the people experienced that day was sort of like reimaging a computer. They were given an opportunity to unlearn all that they had learned while in exile, and hear as if for the first time the plain, unadulterated Word of the living God. As I have said many times in the past, I often think that we, as followers of Jesus, are busy looking for a fresh word or a new revelation, while Jesus is trying to get us to remember something very old. He is trying to bring us back to our first love. He is trying to bring us back to something simple and pure. To something genuine and authentic. As I was thinking about this all week, the Lord reminded me of an ancient text called the "Didache." It is a first century writing that was certainly among the first attempts at recording some of the basic principles of the Way -- this new Christian faith. While the Didache is certainly not "gospel" -- not part of the New Testament Canon -- and therefore cannot be relied on as scripture, I do think it gives us some pretty interesting insight into what was important to the early church. It was before the intellectuals divided the body of Christ. It was before Greek philosophy and Roman culture infected the Way. It was before the arguments of men concerning certain words and phrases divided the church. I am not in any way anti-intellectual. I certainly believe it important to rightly divide the Word and to teach doctrine properly. But I also believe that over time we have been bombarded with so many Christian books and magazine articles, so many sermons on the radio, TV and the internet, and so many commentaries that the core of our faith has become lost or obscured -- or perhaps taken a back seat to our quest for knowledge. Others have been distracted by a quest is for a spiritual experience of some kind. They want so badly to see the power of the Spirit of God in action that they forget why they were created. 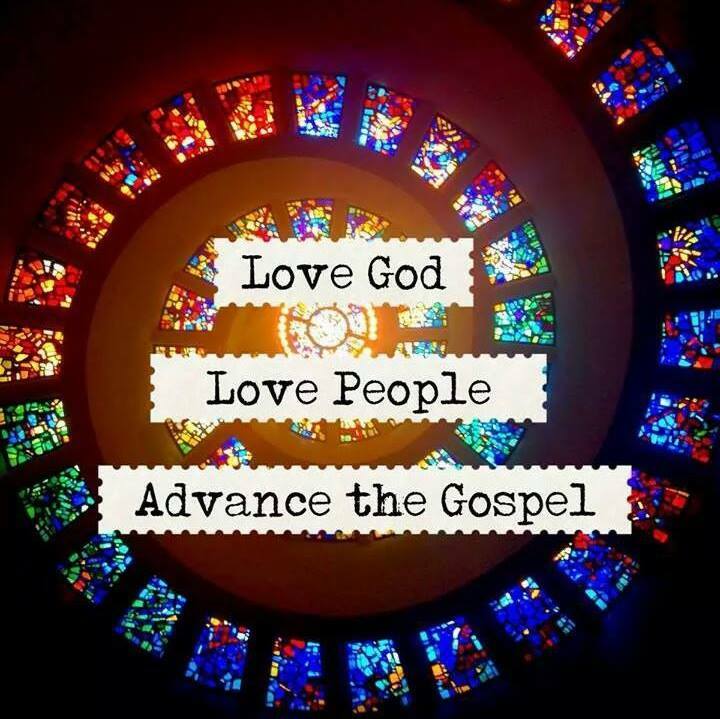 They forget the mission to love God, to love others and to preach the gospel to the world. The Apostle Paul was all too aware of the problem: "Jews demand signs and Greeks look for wisdom, but we preach Christ crucified: a stumbling block to Jews and foolishness to Gentiles, but to those whom God has called, both Jews and Greeks, Christ the power of God and the wisdom of God. For the foolishness of God is wiser than human wisdom, and the weakness of God is stronger than human strength." 1 Corinthians 1:22-25. It is, after all, at the end of the day about faith. And, it is about a few simple truths. And, this brings me back to the Didache. Again, I don't claim the document to be in any way authoritative -- it is not. At the same time, though, it is a window into the past. It is a window, I believe, into a time when believers had a greater reverence for God. A time when people understood the profound nature of baptism and the Lord's Supper. It was a time like the seventh month when Ezra read from the Book of the Law. The only possible response by God's children to God's Word was tears, repentance and joy. And, so, here is the complete text of the Didache. I invite you to consider it for what it is worth. And, I invite you to begin to rediscover Jesus for yourself. I invite you to begin to scrape away whatever being a follower of Jesus has come to mean to you, and to begin a journey to discover the Jesus of the Bible -- the Jesus the Apostles knew as their Lord. I invite you to reimage your faith. Much of what follows will be familiar to you. Some of it should be rejected. All of it hopefully will make you think. There are two ways: one of life and one of death; and the difference between the two ways is great. The way of life is this: first, you should love God, who made you; secondly, love your neighbor as yourself; and whatever things you do not desire to be done to you, do not do them to someone else. Now the words of this teaching are this: Bless those who curse you and pray for your enemies, and fast for those who are persecuting you. For what credit is it if you love those who love you? Do not the Gentiles do the same thing? But love those hating you, and you will not have an enemy. Keep yourself from fleshly and bodily cravings. If anyone hits you on the right cheek, turn the other one to him also. And you will be acting maturely. If someone should force you to go one mile, go with him two. If someone takes your coat, give him your shirt also. If anyone should take from you what is yours, do not demand that he give it back, for you cannot. Give to everyone asking you and do not refuse, for the Father desires to give to everyone from His own gifts. Blessed is the one who gives according to the commandment, for he is innocent. But the one who receives without need shall account for his receiving. Furthermore, being held, he shall be examined concerning what he has done, and he shall not be released until he has given back the last cent. It has been said concerning this, "Let your money sweat in your hands until you know whom you should give it to." And this is the second commandment of the teaching: you shall not kill; you shall not commit adultery; you shall not corrupt children, nor practice sexual deviation; you shall not steal; nor practice calling on spiritual guides; nor use sorcery; you shall not procure an abortion, nor practice infanticide; you shall not covet your neighbor's goods. You shall not commit perjury, nor accuse someone falsely; you shall not speak evil nor hold a grudge. You shall not be double minded nor double tongued, for the double tongue is the snare of death. Your word shall not be false or empty, but do what you say. You shall not be covetous or extortionate, or hypocritical, or malicious or proud. You shall not plan evil against your neighbor. You should not hate anyone; but you should reprove some, and you should pray for some, and you should love some more than your own life. My child, flee from evil and from every appearance of evil. Do not be ruled by your passions, for this leads to murder. Neither be jealous, quarrelsome, or quick- tempered. For murders are born out of such things. Do not let yourself develop lust, for this leads to sexual immorality. Do not be foul-mouthed, nor raise your eyes, for this leads to adultery. My child, do not regard omens, for this leads to idolatry. Do not be a sorcerer, nor be involved in astrology or magic purifications. Do not desire to see these things, for that is how idolatry comes. My child, do not be a liar, for lying leads to thievery. Do not be fond of money and do not try to build your own image, for that also leads to thievery. My child, do not be a grumbler, for it leads to blasphemy. Do not be self-willed nor entertain evil thoughts, for that is how blasphemy starts. Be meek, for the meek shall inherit the earth. Be patient and long suffering, devoid of evil, gentle and good, and trembling continually at the words that you have heard. Do not exalt yourself nor act presumptuously. Do not join yourself with the proud, but walk with the righteous and humble men. Accept everything that happens to you as good, knowing that nothing happens apart from God. My child, you should remember night and day the one who speaks to you the Word of God, and honor him as you would the Lord; for where the delegated authority speaks, there is the Lord. And you should seek every day the presence of the saints, in order that you may be supported by their words. You should not desire division, but make peace between those quarreling. Judge righteously; do not favor anyone in reproving transgressions. Do not be double-minded as to whether anything should or should not be. Do not be one who stretches out his hand to receive but withdraws it in giving. Give a ransom for your sins if you have it to give. Do not hesitate to give, nor give in a grumbling manner, for you know who is the good Paymaster who rewards? You should not turn away the needy, but share all things with your brother, not saying that anything is your own. For if we are sharers in the eternal things, much more should we be in the physical things. Do not withhold your hand from your son or your daughter, but from their youth teach them the fear of God. Do not give orders to your slave or your handmaiden--those who hope in the same God--when you are bitter, lest they stop fearing God who is over you both. For He does not come to call men according to their social status, but He calls those whom the Spirit has prepared. And you slaves submit in fear and reverence to your masters as God's delegated authority over you. You should hate all hypocrisy and all that is not pleasing to the Lord. Do not forsake the commandments of the Lord, and keep (the teachings) you have received, not adding and not taking away. In church, you should confess your faults; and do not go to prayer with an evil conscience. This is the Way of Life. But the Way of Death is this: first of all, it is evil and full of curses, lusts, adulteries, murders, thefts, idolatries, witchcrafts, sorceries, robberies, false witnesses, hypocrisies, double-mindedness, fraud, arrogance, boastfulness, jealousies, foul speech, pride, persecutors of the good, haters of truth, lovers of a lie, not regarding the reward of the righteous, not holding to the good or to the righteous judgment, spending sleepless nights not for good, but for wickedness; far from whom is gentleness and patience; loving useless things, seeking rewards, unmerciful to the poor, not helping the hardworking person, not regarding the one who made them, child murderers, destroyers of God's creation, turning away the needy, oppressing the distressed, wrongfully assisting the rich, unjust judges of the poor, altogether sinful. May you be delivered, my children, from all of these things. See that no one misleads you from the pathway of this teaching, since it would be contrary to God. For if you are able to bear the whole yoke of the Lord, you should be mature. If you are not able, do what you can. Concerning meat, do what you can; but keep from that which is offered to idols, for it is the worship of dead gods. And concerning baptism, in this manner baptize: when you have gone over these things, baptize in the name of the Father, and the Son, and the Holy Spirit, in running water. If you do not have running water, baptize in other water. If you are not able to use cold water, use warm. And if you have neither, pour water on the head three times, in the name of the Father, the Son, and the Holy Spirit. And before baptism, the one baptizing and the one to be baptized should fast, as well as any others who are able. And you should instruct the one being baptized to fast one or two days before. Our Father in heaven, hallowed is Your name, Your kingdom come and Your will be done on earth as it is in heaven. Give us our daily bread for today and forgive our debts as we forgive those who owe us. Please do not lead us into a test, but deliver us from the evil one. For You have the power and the glory forever. Pray like this three times a day. We give thanks to You, our Father, for Your holy vine of David, Your servant, which You made known to us through Jesus, Your Servant. Glory to You forever. We give thanks to You, our Father, for the life and knowledge that You made known to us through Jesus, Your Servant. Glory to You forever. As this broken bread was scattered over the hills and was brought together becoming one, so gather Your Church from the ends of the earth into Your kingdom, for You have all power and glory forever through Jesus Christ. Do not let anyone eat or drink of your Eucharist meal except the ones who have been baptized into the name of the Lord. For the Lord said concerning this: "do not give that which is holy to the dogs." We thank you, Holy Father, for Your Holy name which you made to dwell in our hearts, and for knowledge and faith and immortality as You made known to us through Jesus, Your Servant. Glory to You forever. You, Lord Almighty, created all things to show forth Your name. You give both food and drink to man to enjoy, and everlasting life through Your Servant. Above all, we thank You because You are mighty. Glory to You forever. Remember Lord, Your Church, to deliver her from all evil and mature her in Your love. And gather her from the four winds, separated into Your kingdom which You have made for her, because You have the power and glory forever. Allow the prophets now to give thanks as they desire. Whoever, therefore, who comes and teaches you all these things mentioned, receive him. But if the one teaching changes what has been taught to another teaching in order to destroy these things, do not listen to him. However, if his motive is to add righteousness and knowledge of the Lord, receive him as you would the Lord. Now concerning the apostles and prophets, act according to the requirements of the Gospel. Every apostle coming to you, welcome as you would the Lord. And he should not remain more than one day, and if he has a need also another. But if he remains three days, he is a false prophet. And when the apostle goes forth, he should take nothing except a loaf of bread, until he arrives at his night's lodging. If he asks for money he is a false prophet. Also, you should not test or judge and prophet speaking in the Spirit, for every sin will be forgiven, but this sin shall not be forgiven. But not everyone speaking in the Spirit is a prophet, but only if he should have a lifestyle of the Lord's character. Therefore, by his lifestyle you will know a false prophet from a true prophet. And any prophet ordering a meal in the Spirit should not eat of it; otherwise he is a false prophet. And every prophet who teaches the truth but does not do what he teaches is a false prophet. But every prophet who stands the test and is genuine, even if he uses symbolic imagery in the church, so long as he does not teach others to do the same, should not be judged. His judgment comes from God, for so did the prophets of old. But whoever should say in the Spirit, "Give me money or something else," do not listen to them. But if, concerning others in need, he says "give" let no one judge him. Receive everyone coming in the name of the Lord. Later, by testing him, you will find out about him, where he deviates from the standard. If the one coming is just traveling through, help him as much as you can. He should not remain with you more than three days if that is necessary. But if he desires to settle among you and has a trade, let him work for his bread. But if he has no trade, you should provide for him according to your own discretion. In no way should anyone live among you unemployed as a Christian. And if he is not willing to do this, he is making a trade of Christ. Beware of this kind of person. But every genuine prophet who desires to settle among you is worthy of his food. Likewise, every genuine teacher is worthy; like a workman, he is worthy of his food. Therefore, of all the first produce of the wine press and the threshing floor, and of the oxen and the sheep, take the first fruits and give it to the prophets. For they are your high priests. And if you do not have a prophet, give such first fruits to the poor. If you should make bread, take it and give according to the commandment. Likewise, if you have opened a jar of wine or oil, take the first fruits and give to the prophets. And also take the first fruits of your money and clothes and all your possessions. As it seems best, give according to the commandment. And when coming together on the Lord's own day, break bread and give thanks after confessing your transgressions. In that manner, your sacrifice will be pure. And do not let anyone coming with a quarrel against a brother join you until they get reconciled, in order that your sacrifice is not impure. For this has been spoken of by the Lord, "in every place and time offer me a pure sacrifice, for I am a great King," says the Lord, "and My name is wonderful among the nations." Appoint for yourselves, therefore bishops and deacons worthy of the Lord: gentle men, not lovers of money, true and approved. For they minister also to you the ministry of prophets and teachers. Therefore, do not despise them, for they are to be honored among you along with the prophets and teachers. Do not reprove one another in anger, but in peace, as we have been shown in the Gospel. And do not let anyone speak to a person who is unloving to his neighbor, nor let him hear a word from you, until he repents. Pray and give and live as you have found in the Gospel of our Lord. Watch over your life. Do not let your lamps be extinguished or your body unclothed, but be ready; for you do not know the hour in which our Lord comes. Assemble yourselves together frequently to seek the things that benefit your souls, for all the time of your faith will not profit you unless you are perfect at the last. For in the last days, false prophets and seducers will increase, turning the sheep into wolves; and love will be turned into hate. For lawlessness will increase and they will hate and persecute and betray one another. And then the deceiver of the world will appear as though he were the Son of God, and he shall do signs and wonders and the earth shall be delivered into his hands; and he will commit immoralities which have never been done since the age began. Then shall the race of men come into the fire of proving trial and many shall be made to stumble and perish. But those who remain established in their faith shall be saved under the very curse. And then the signs of truth shall be revealed. First, a sign spread out in heaven; then a sign of the sound of a trumpet; and third, the resurrection of the dead, but not all of the dead. But as it was said, "the Lord shall come and all His Holy Ones with Him." Then the world shall see the Lord coming in the clouds of heaven." Copyright © John R. Crews 2009 - 2017 -- All Rights Reserved. . Simple theme. Powered by Blogger.